One of Colorado’s best kept secrets is the town of Evergreen. Resting in the valleys before Interstate 70 cuts into the Rocky Mountains, Evergreen has a location that affords residents the best of both worlds. It is close to the most exciting mountain attractions, while also being close to the suburbs and all the amenities essential for daily life. This foothill community is the ideal destination for everyone who loves peace, quiet and abundant natural beauty. But make no mistake, Evergreen also has quick and convenient access to great shopping, dining and more. Downtown Evergreen provides residents with the best of urban-style entertainment, including unique shops and lively dancing. The city also has a vibrant art community and enjoys regular events hosted by the Art for the Mountain Community, a local nonprofit. Meanwhile, the Centennial state’s easygoing nature and its high priority for preserving the wilderness means there are seemingly endless parks to be explored and adventures to be uncovered. Situated in Jefferson County, Evergreen is known to have picturesque lots of varying sizes and homes of varying ages. Many of the homes in the foothills were constructed during the 1960s and 1970s by individuals. However, in recent years the area has become a hotspot for development and prospective homebuyers will also find remarkable newer construction options. In relation to the quality of life, the real estate prices of Evergreen are fairly low, making this city a great place for families, retirees and everyone in between. 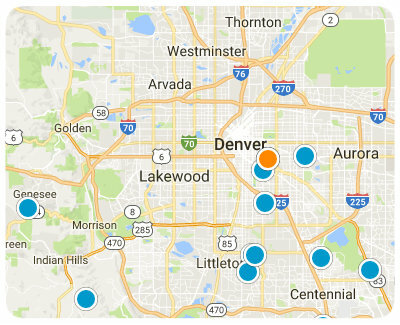 With an incredibly low crime rate, excellent schools and a bevy of recreation opportunities, Evergreen is a must-consider Front Range option for homebuyers searching in the Denver Metro Area. For more information regarding homes for sale in Evergreen, Colorado, please allow us to assist you and contact us today.